← a hungry texans guide to thanksgiving! The title leaves no surprises. These ‘lil babies were quite boozy, so boozy you almost feel bad bringing them to the office an asking your coworkers to indulge in a flavorful bomb of chocolaty rum before 5 pm on a Tuesday. 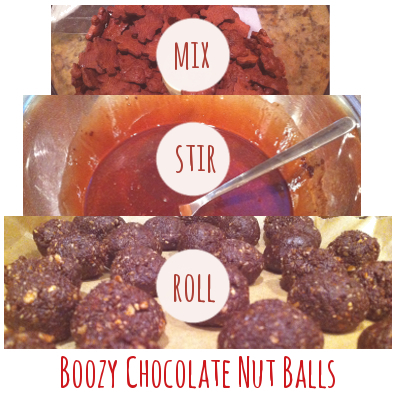 They say “candy is dandy, but liquor is quicker, ” but with these treats you don’t have to choose one or the other! If I made these again, I think I’d try Bourbon, and I think I’d try serving them alongside after dinner drinks, but with this basic recipe in our back pockets the opportunities to innovate upon it are endless. All you need to do is mix your teddies and nuts in the food processor until you have a coarse crumb. In a separate bowl stir together your rum, cocoa, honey, and powdered sugar, then dump your crumbs to the liquid mix. Mix, mix, mix it all together and then chill until the dough is cold and you’re ready to ball. Shout out to RyBei who rolled this dough into perfect little balls. 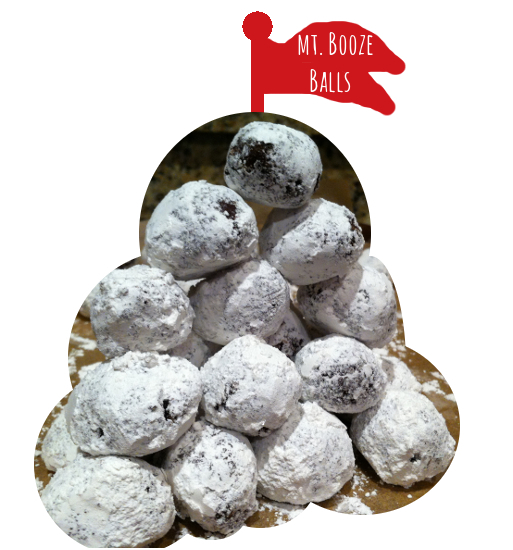 Once you have your balls, roll in powdered sugar and they’re ready for eats. These balls are super forgiving, chill well for days, and would be pretty precious stacked on top of each other in a cellophane bag and a red ribbon tied around them (#Holidays2012, I’m just sayin’! ).